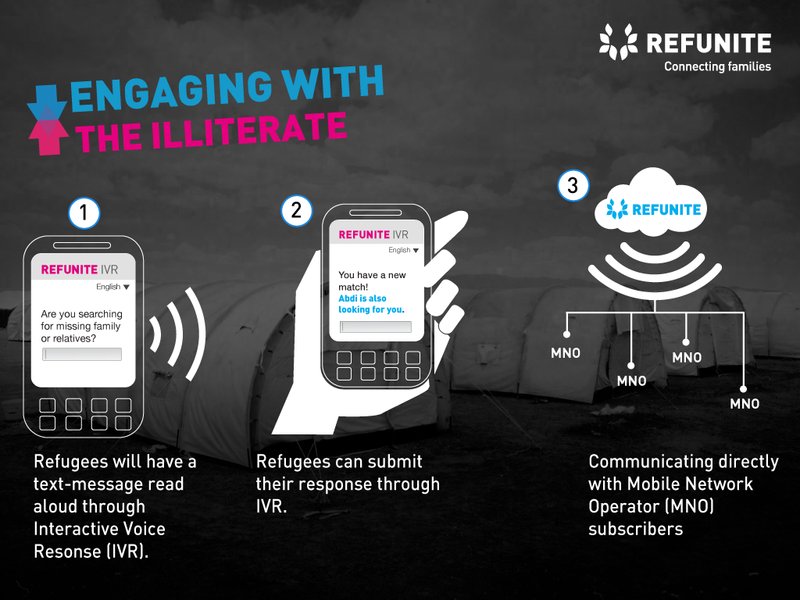 In this blog-post, Ida Jeng of REFUNITE reflects on a recent mission to Islamabad in Pakistan and reveals REFUNITE’s plans of deploying an Interactive Voice (IVR) system to connect separated refugees and displaced people in Pakistan. Most of us are familiar with voice services, such as Siri, Hey Google, Aleza and Cortana. These voice-enabled digital assistants make our everyday lives easier. Emerging voice technology is also increasingly being used to help illiterate communities accessing essential services during emergencies. 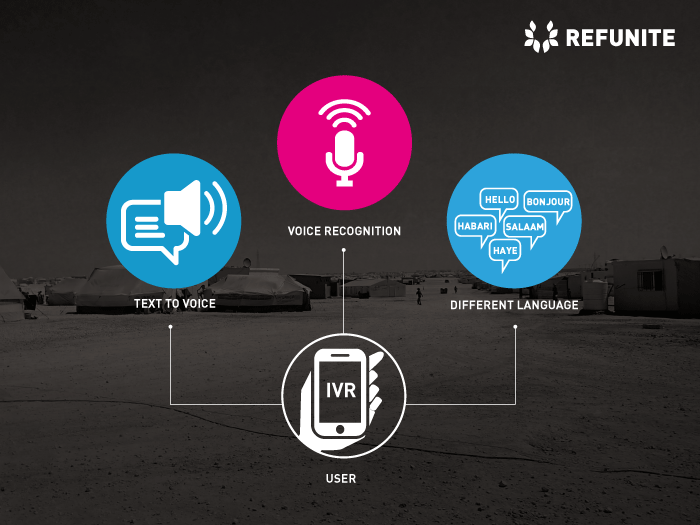 While Interactive Voice Response (IVR) still hasn’t been fully localized to reflect the world’s local languages, the humanitarian sector has started to embrace voice. I recently returned from a trip to Islamabad, Pakistan, aimed at engaging the mobile industry and humanitarian partners in a new project led by tech nonprofit REFUNITE — the world’s largest missing persons platform for displaced people, and the organization I work for. Recently, at REFUNITE, we’ve started to think more creatively about how to register separated refugees and displaced people onto our family reconnection platform. We’ve managed to gather more than 600,000 people under one digital roof through a mix of nationwide SMS campaigns, coupled with localization and ongoing product iterations. But what if families are illiterate? I’ve seen this in the refugee camps I’ve visited: How illiteracy prevents families from getting the help they need. Beyond helping women to reconnect with their families, our goal is to deploy and bring to scale an IVR solution for illiterate and disconnected women. Our assumption is that it can be used for various purposes and serve the world’s illiterates; families who would otherwise be left out of the smartphone revolution by way of their inability to read and write. As a communicator, I am fascinated by the idea of exploring new ways of making it easier for families to search, connect and communicate through our platform. In the future, separated families in Pakistan will be able to search and register onto the REFUNITE platform using voice. Our IVR solution will be integrated with a call center that will be opened in 2017. Think: robocall-meets-SMS. When considering that 800-900 million people are illiterate globally, and with 57% of women being illiterate in Pakistan, the opportunity to connect families is groundbreaking. In the coming months, I’ll be returning to Pakistan to engage displaced women in product development, prototyping and testing. The H&M Foundation has committed to fund this project over a 3-year period. Ericsson has created the prototype. Facebook is providing free access to our family reconnection platform, while mobile operators in Pakistan will donate SMS campaigns and the hotline. Family separation is an overlooked tragedy that impacts families globally. This is especially true for women and children because of their oftentimes more vulnerable position in society. Discrimination follows, which leads women to withdraw even more from society, turning into a vicious cycle of disempowerment and marginalisation. When families become separated in the wake of conflict or natural disasters, the impact is devastating. 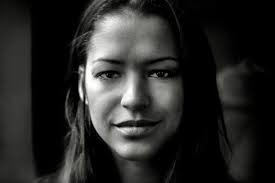 Not only is the emotional trauma severe, leaving parents uncertain as to the fate of their children, but women are in particular affected by separation, as it leaves them vulnerable to abuse. We’re at the very nascent stages of a very new and, within our field of work, untested technology; but one that does hold tremendous promise. How does one create a human-like voice in languages such as Pashto and Urdu? How do we create a human-like experience for users? How do we empower women to register independently? These are some of the questions we are curious about. Women are the cornerstones of family and giving them the dignity to actively participate in the search process has been a prime focus for REFUNITE since our inception. For decades, Pakistan has been a major refugee host country and home to almost 2 million internally displaced people. Women’s involvement in this process is key. The IVR solution could enable them to take matters into their own hands. Beyond the obvious ties of affection that bond families, in countries like Pakistan, your family is also your safety net; your protection against an often hostile world; your access to resources and funds, both in times of health a sickness. Like many other countries, Pakistan is a country of contrast. On the one hand, a beautiful and leafy country that is home to a thriving startup and technology industry. On the other hand, home to terror attacks and conflict. Pakistan has harbored one of the world’s largest and longest displacement crisis, with 1.5 million refugees and 1.8 million internally displaced persons. Conflicts and natural disasters have caused families to be separated. From a connectivity perspective, Pakistan is an interesting market to develop this IVR project. As of May 2016, there were more than 133 million mobile subscribers, though with only 22% of those being on a 3G “internet” line. The remainder were on 2G cell phones, disconnected from the Internet. The displaced come in at the bottom of the economic rung and will most of the time be among the 2G users. REFUNITE partially tested our services in partnership with Free Basics by Facebook earlier this year – a project that aims to provide internet connectivity to feature phone users free of charge. Together, we registered close to 3,000 people. What this test tells us is that the need for family tracing is significant, even among the English speaking tech-literates who access Facebook through a feature phone. We believe then that the need is significantly higher amongst the illiterate, 2G connected displaced women with little understanding of technology. They will be much harder to assist, but the rewards will be even more impactful. With a female literacy rate of 43% in Pakistan, finding ways to connect this disconnected is imperative. During my trip to Islamabad in Pakistan, I met with humanitarian partners, such as the UNHCR as well as mobile companies to gauge interest. In 2017, it is our goal to operate a fully functional call center operated by women in Pakistan. For women who, out of tech illiteracy, find it impossible to register and search through an SMS, being able to speak with another woman, is paramount.